It’s 9 p.m., I’ve got a drink in hand, chips and Grandma’s homemade pickles within reach, and my good friend Ben seated across the sofa from me. The television screen is glowing with the main menu of Madden NFL 25. Not a bad way to start a Saturday night. It’s hard to believe it’s been 25 years since the first Madden game came out, and harder to believe how far the games have come. Madden NFL has, since 1988, been commonly referred to as “the NFL’s 33rd franchise,” earning more than $3 billion in sales across the 85 million copies sold. Beginning as pixilated sprites running slowly on the Commodore 64 to accommodate the 11-player teams John Madden insisted be present for the sake of authenticity, Madden NFL has certainly progressed in leaps and bounds. Playing Madden 25, individual blades of grass can be seen being kicked up by players. Sweat beads on skin, muscles flex and bend, and players react dynamically to each other’s presences. At a glance, one could be fooled into thinking he or she was watching the real thing. 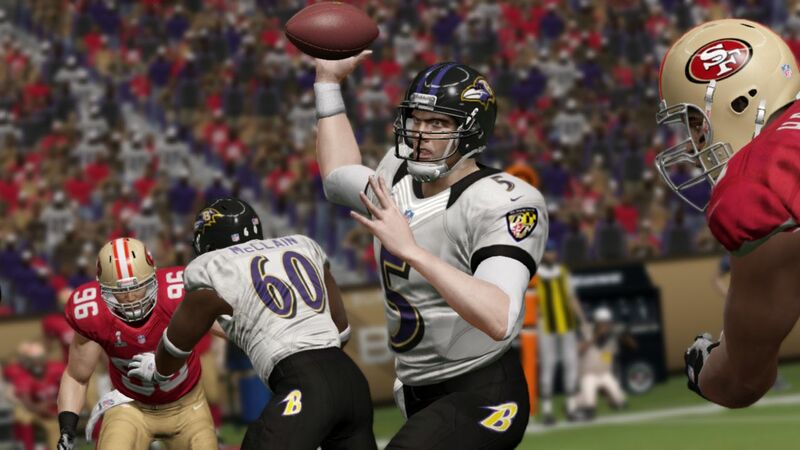 The Madden franchise has always served as a sort of simulator. John Madden, former Oakland Raiders coach and NFL commentator, insisted throughout development that a strong sense of realism be maintained. He envisioned the series as a learning tool for people to be able to pick up and fluidly learn the basics and, eventually, intricate details of the sport. With the introduction of the “Ask Madden” feature in later games, gamers can learn the sometimes daunting plays function and become familiar with them. This is not to say that Madden NFL is purely about stats; it is still a game, and it’s great fun even to those who wouldn’t describe themselves as football fans. Of course, you can’t talk about Madden NFL without bringing up the infamous Madden Curse. From 1999 onwards, starting with Garrison Hearst, players appearing on the cover of Madden games all faced a sudden decline in their careers. While players like Hearst, Daunte Culpepper and Donovan McNabb would lose large chunks of their seasons due to injury, others would have their seasons slip through their fingers, like a missed catch by former Tennessee Titans running back Eddie George that led to an interception and a playoff loss in 2001. Not one player has gotten out of a Madden cover deal unscathed. Despite a slow start in 1988, the Madden NFL franchise has never sacrificed quality and never compromised its principals of excellence. As a result, it has remained the undeniable pinnacle of football gaming, leading the industry and serving as a guideline for not only other football games, but sports video games as a whole.